The arrival of your baby is the greatest gift you'll experience, and care teams at Ascension Seton are dedicated to helping you have a happy and healthy pregnancy and delivery. We can't wait to help you welcome the new addition to your family. Ascension Seton offers a range of pregnancy, childbirth and parenting classes from maternity tours to newborn basics and beyond. The best childbirth experience begins long before you enter the delivery room. We can help you feel better prepared for your next big step. Having a new baby can be equal parts exciting and overwhelming. Learn more about what you can expect when you bring your newborn home. 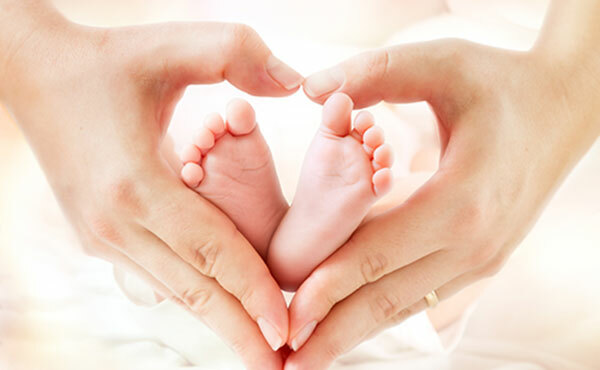 We’re dedicated to delivering compassionate care for moms-to-be, including advanced care by Maternal Fetal Medicine specialists for those experiencing a high-risk pregnancy. Ascension Seton provides critical care to those newborns needing special attention, and if necessary, access to the highest level of NICU care by Dell Children&apos;s.
Our maternity care services are supported by the wide range of services and sub-specialists of Dell Children's Medical Center, rounding out a full continuum of care for newborns. Ascension Seton offers education opportunities that cover every stage of your childbirth journey: prenatal care, delivery, newborn care, breastfeeding and even classes for siblings. Find an OB/GYN or maternal fetal care specialist who's right for you. We serve families throughout Central Texas. Find our location nearest you. Check our calendar for upcoming Baby Shower events in your area.